Everybody needs a hobby, but when your hobby becomes something the Guinness Book of World Records gets interested in, you’ve taken it to another level. Meet Joe Galiardi. 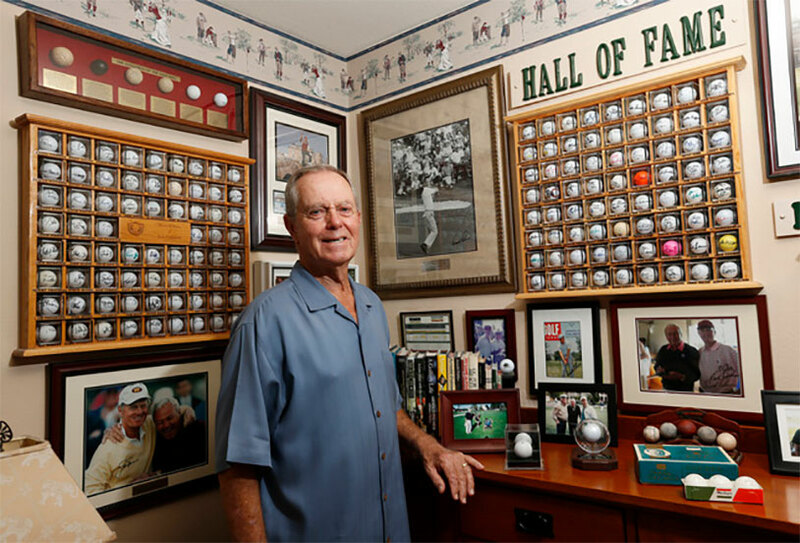 The young-looking 80 year old from Cupertino, California just got inducted into the annals of history for his collection of autographed golf balls. Galiardi’s a big golf fan – he lives on the Deep Cliff Golf Course, and plays rounds often – and he’s been collecting autographed balls since 1989. The first signer was legendary duffer Arnold Palmer, who Galiardi tracked down at the Transamerica Senior Gold Tournament. Palmer’s ball is housed in a case with other autographed golf balls from Chi Chi Rodriguez, Johnny Miller, Jack Nicklaus and Sam Snead. It’s not just golfers that Galiardi has autographs from, after all. More than half of his collection is figures from other fields. He has balls signed by the last eight U.S. Presidents, as well as celebrities like Donald Trump, Alice Cooper and Samuel L. Jackson. He’s gathered his collection through the sweat of his brow, never paying for an autograph or selling a ball after it’s signed. The collection now numbers 415 inscribed balls, which was more than enough to get the attention of the Guinness Book, who have added Joe Galiardi to their pantheon of record holders. The only thing keeping his collection from growing is his long-suffering wife, who insists that Galiardi keep his autographed golf balls within the confines of a single room.